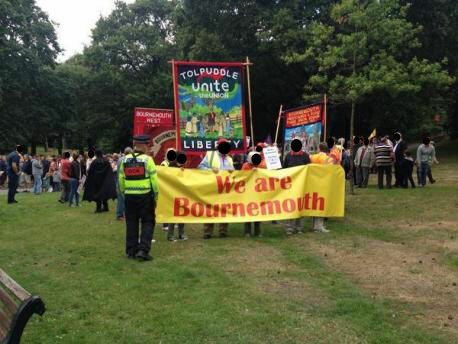 “The mood of the town was overwhelmingly in favour of a peaceful and inclusive protest to illustrate how united our communities are in their opposition to the EDL’s narrow racism. It’s probably the broadest spectrum of political opinion, gender, age group, ethnic origin and religious belief we’re ever likely to see gathered over a single issue. Above all it confirms that the ‘Islamification of Britain’ is just the paranoid fantasy of a tiny subculture. 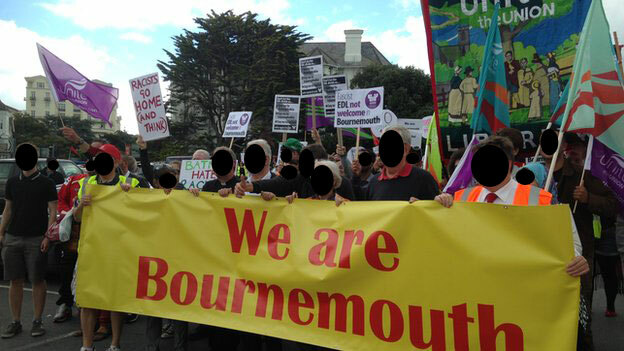 Not only was the We Are Bournemouth demo very successful, but a few wonderful local residents also held up signs opposing the EDL right in front of them too.